In Panel de Pon, the evil devil king Thanatos has cast a spell over the world of Popples to cause fighting amongst the fairies. The Fairy of Flowers, Lip, is unaffected due to her magic stick. 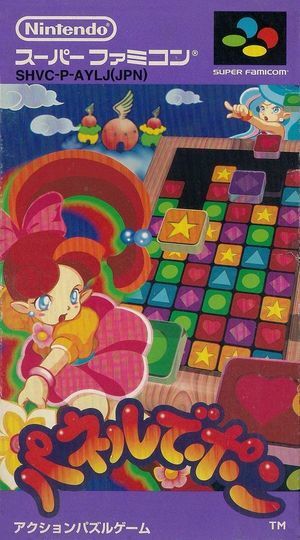 Lip must defeat each of her fairy friends in a puzzle game to return their personalities to normal, then proceed to face off against Thanatos. Upon completion of Hard Mode, the player discovers that the final boss, the goddess Cordelia, is actually Lip's mother and queen of the fairies. She informs Lip that the events leading up to this moment were a test to see if Lip had the strength to become the new Queen of the next generation of fairies. The graph below charts the compatibility with Panel de Pon since Dolphin's 2.0 release, listing revisions only where a compatibility change occurred.